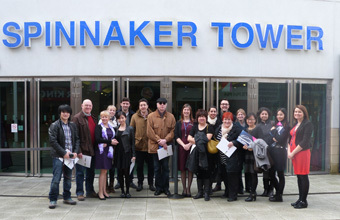 SPINNAKER Tower has welcomed a group of UK Inbound operators as part of a UK Inbound and Tourism South East Discover Hampshire workshop and familiarisation trip. Pictured are new business co-ordinator for Spinnaker Tower Jane Chivers, marketing manager for Spinnaker Tower, Jenny Nolan, groups sales manager for Continuum Group, Elizabeth Mounser, Flavia Messina from UK Inbound, Kirstin Monk from Visit Hampshire and Fran Downton from Tourism South East. 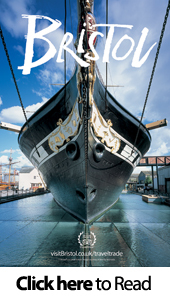 Jane said: "This has been a fantastic opportunity to showcase our attraction, Portsmouth and Hampshire to an international audience. "Having been able to discuss the operators' needs and wants from a UK trip, I am confident that Portsmouth can deliver and we hope to welcome them in the future."